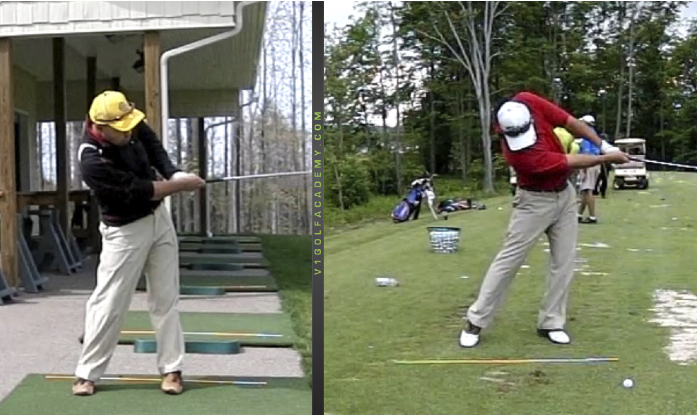 The guy on the left came from the David Leadbetter Academy. He spent two months and several, several thousand dollars there. The guy on the right has spent about half the time and about a quarter of the money here in Erie, PA.
Go go Stack and Tilt. 😀 Go go Ivan!